Hawkhill Publishing is a new-ish company under the direction of former Hughes & Hughes buyer Colm Ennis. They had a hit last year with the rather attractively packaged GAA Book Of Days and have released two new titles [If I Trust In You and Playing Dead] in 2009. Their third in 2009 is the reason for this post. 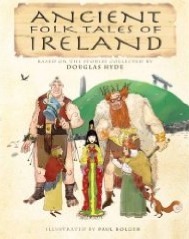 Produced in close association with the Douglas Hyde Estate, with an introduction by his grandson, every effort has been made to retain the original storytelling of the stories while removing some of the more obvious 19th Century influences to present the stories as they were told down the centuries. This has been ripe for a re-issue and Colm has a good eye for packaging. I hope this does astonishingly well. 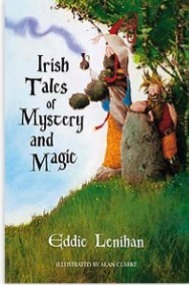 It reminds me of the rather lovely packaging Mercier applied to Eddie Lenihan’s Irish Tales of Mystery & Magic. Good luck to Hawkhill and Colm. Listen I came accrose you by accident but while I’m hear have you made any progress with your problems and more immportant how are you?